But, electronic browsing doesn't have to mean print-directory surrogates. There are many examples of innovative electronic discovery design that can help you stumble upon something you didn't know you needed. You don't have to start with a search term at Zappos, for instance. Just select your foot size and it will present you with a list of what's available, then narrow by facet (those clickable categories on the left). The interface allows you to imagine a shoe store organized in any number of schemes: by designer, by season, by color, by price. You are no longer limited to one main organizational structure. Multiple organizational schemes are a key advantage of electronic serendipity. 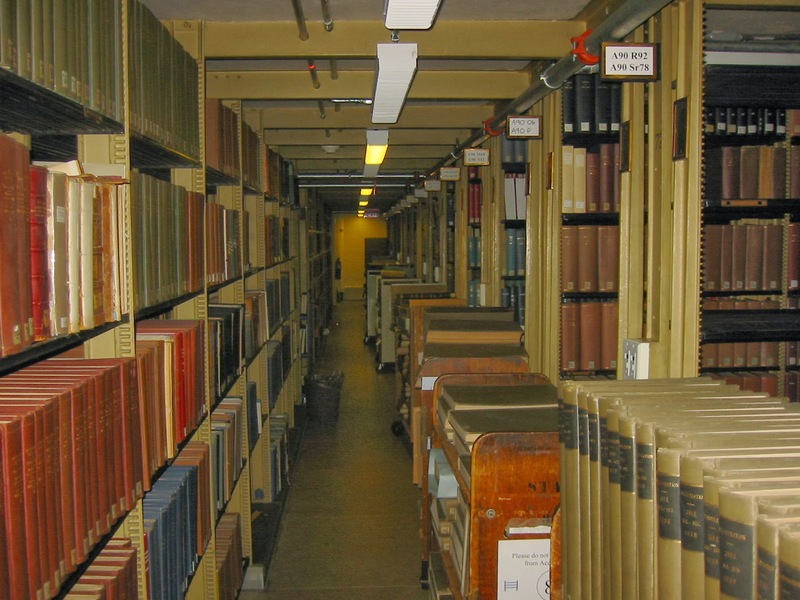 The browsing we enjoy in physical libraries is primarily based on subject categorization of the material. But electronic browsing isn't restricted to this single attribute, it offers many new possible ways to organize and reorganize a collection. We could browse by book jacket color (don't laugh, many librarians have heard that request at the reference desk from time to time). We could browse by frequency of use, as Harvard's Stack View does. The newly formed Digital Public Library of America has not only been creating an interface that unifies many U.S. digital collections, but also encouraging the creation of new ways to explore those collections, including browsing geographically, temporally, and even by matching collections against any text of your choice--witness the Serendip-o-matic. Some of these might be novelties and proof of concepts, but I can think of numerous cases where browsing offers a more effective experience than search. Old Maps Online, a collaboration between the University of Portsmouth, UK and Klokan Technologies, is one of my favorites. Instead of searching for historical maps by place names, the interface allows you to navigate spatially, the site continually refreshing a visual list of historical maps that coincide with your current view of the world. The maps are drawn from numerous key collections including the British Library, Harvard, New York Public Library, and the Rumsey collection. It also allows you to narrow by time period with a simple sliding bar, and then jump to the full images of the digitized maps at their home collections. Recommendation engines, like those of Amazon, Netflix, and YouTube, leverage your personal (and our collective) purchasing and viewing history to offer more material and could also be considered a form of electronic browsing. Here is serendipity by algorithm. If you liked that Howard Zinn video, perhaps you might like this one with Noam Chomsky. Many library systems are now trying to utilize this technique as well: if you liked that article you might also be interested in this one, or you might care to read this author who wrote a critique of the book you're viewing. Reading and research social networks like LibraryThing and Mendeley leverage their community bases to offer you more material based on your current research. And, of course, broader social networks like Twitter offer a platform to discover new material and often to interact right with its creator. Some might argue that serendipity implies more chance, a more random process than this type of computer-driven or human-curated selection. But there really is nothing random about the way library stacks are organized. They are designed according to a clear set of rules to facilitate this type of browsing. The truth is, serendipitous browsing has always been by design. And if we want to reestablish opportunities for serendipitous discovery in the emerging digital environment (and build exciting new ones), we will need to thoughtfully design them first. A loss of effective physical browsing is inevitable as we now live in a bifurcated electronic and print world. If you only browse the stacks, you'll miss all of our fantastic licensed and free digital collections (and of course, you're limiting yourself to what is in your specific library, happens to not be checked-out, and is located in that corner of the building, as Brian Mathews points out). For a while libraries crudely tried to accommodate our hybrid collections by inserting dummy foam placeholders on the shelf where the electronic version had replaced the print--remember those? But the real opportunity lies in the reverse: building new and exciting possibilities for electronic browsing that still incorporate physical volumes while taking advantage of the digital environment. Electronic serendipity can cross boundaries of library and vendor ownership, availability, material type, and it can offer unlimited methods of organization and exploration of the same material. Our progression to electronic research doesn't have to mean one and only one thing: the single search box. We can build many new methods to stumble and browse through material electronically, accommodating different learning styles and ways of thinking about the material, and offering multiple opportunities to stumble upon just the item you didn't know you wanted. Now if we could only get our iPads to emit old book smell while we do it.